Of the severe winters within living memory, January 26th 1940 saw the heaviest snowfall, 1963 the longest continuous frost, but the winter of 1947 was when Sutton Coldfield suffered the greatest hardship. 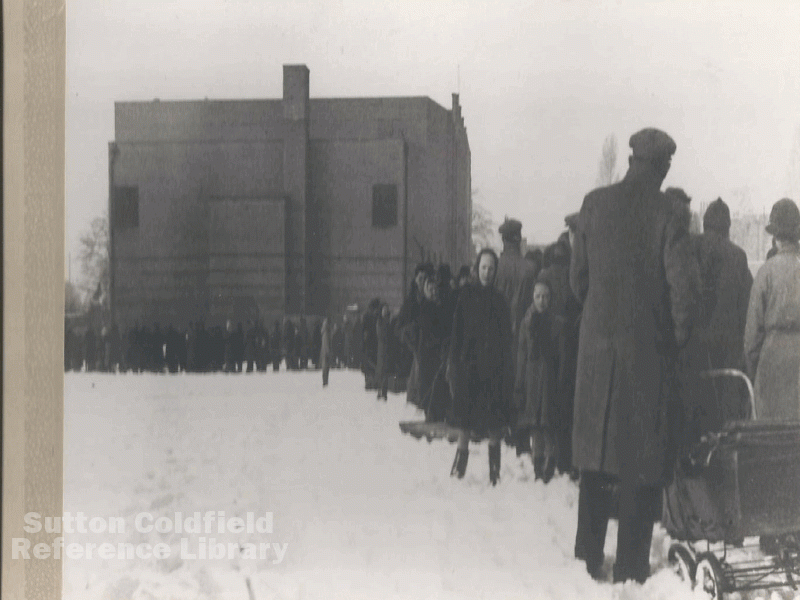 The “Sutton Coldfield News” for Saturday 8th February 1947 reported “during the present wintry spell the snowfall in Sutton Coldfield up to 9.00 a.m. on Wednesday had been about twenty inches, making twenty-seven since the beginning of the year”. There were the usual problems with blocked roads - “on Saturday the salt ran out. Ploughs were out all Sunday night, and workmen were engaged in digging out snowdrifts in all parts of the Borough, and had been continuously engaged ever since” declared the Borough Surveyor. However, the letters column contained several bitter complaints as to the incompetence of the authorities in failing to clear the roads. Households depended on coal fires for heating, but coal was in short supply and strictly rationed, while the use of the more expensive electric fires was prohibited at certain times of the day. Councillor W.E.Lawley announced that arrangements would be made for wood logs from the Park to be made available, the cost to be three shillings and sixpence (17½p) for a bag weighing one hundredweight (about 51 kilos), but only one bag per household. “We feel this will help quite a number of unfortunate people in the Borough who have no coal” he said. The logs could be collected from the Riland Road depot initially, but later there were other collection points in an attempt to relieve the congestion caused by the great crush of people eager to buy their share. People formed orderly queues in the deep snow and freezing weather as they waited patiently for their turn to buy a bag of logs.